Arti Roller Flour Industries Ltd. is one of the leading super Fine Wheat Flour manufacturers, incepted in India. We manufacture fine wheat flour which is 100% free from the presence of any harmful ingredients. 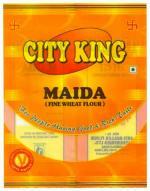 Our fine white wheat flour contains high level of nutritional level for the regular growth of body. For making soft as well as nutritious chapatti, we manufacture fine white wheat flour. We have a team of trained professionals having abundant experience in dealing with fine white wheat flour. It is used for preparing in various items some of them are Bread, Burger Buns, Rusk, Pasta, Noodles, Pizza base, Cake/pastries,Biscuits.etc.